The Alcatel OneTouch Hero 2 sounds like a powerful phone and a great budget-friendly, stylus-equipped phablet, which should appeal to those who are in the market for such a device. It costs around ~$430 (€350), and for this sort of money, one would expect mostly smooth operation. Unfortunately, choppy performance and a next-to-unusable stylus detracts from the experience to the point where one may wish to look for other options. 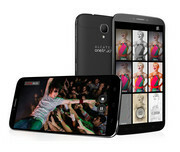 Model: The Alcatel OneTouch Hero 2 is branded as a fun device aimed at creative users. Not to say that this smartphone can't be used for serious work, on the contrary, it excels in that department. 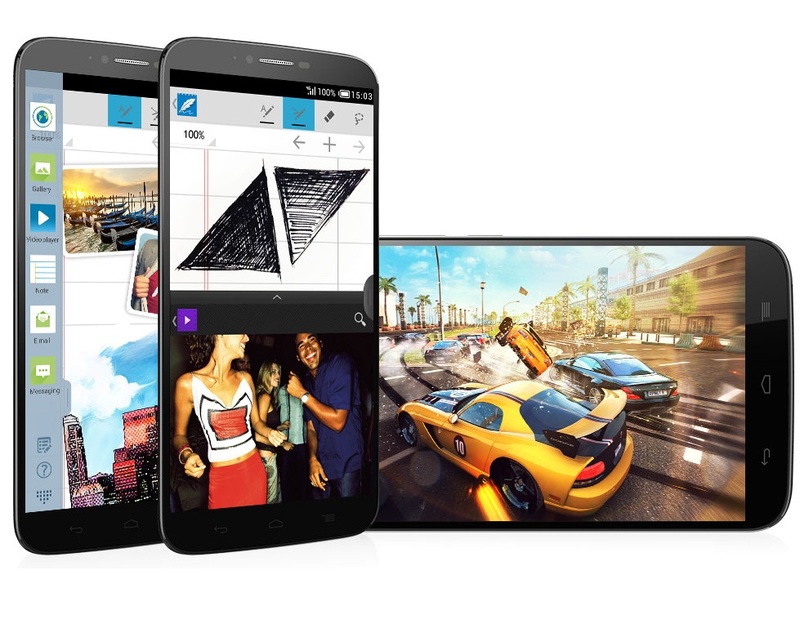 The Alcatel OneTouch Hero 2 is well designed with curved edges for good in-hand comfort. Display on the smartphone is a 6 inch IPS LCD with Dragontrail glass. Users can expect good clarity and colors with an excellent screen real estate. Around this gorgeous screen is a dark grey bezel that holds in the integrated capacitive stylus. The rear panel is kept simple with the Alcatel OneTouch branding contrasting the dark grey. The Android 4.4.2 KitKat device comes with a Cortex-A7 octa-core processor clocked at 2.0 GHz, 2 GB RAM, Mali-450MP4 GPU and an internal storage of 16 GB. As users can see these specifications are an indicator for performance and the Alcatel OneTouch Hero 2 can deliver. There is a 13.1 MP primary camera with optical image stabilization and a secondary 5 MP front facing shooter. Other features include microSD support, Bluetooth 4.0, NFC, stereo FM radio with RDS and A-GPS. The Alcatel OneTouch Hero 2 comes with Sidekick 2 support, a handset. So, users can put aside the larger smartphone. Battery life is good with a non-removable Li-Ion 3100 mAh cell powering the device. 73.67%: This rating is bad. Most notebooks are better rated. This is not a recommendation for purchase.